Canadians, Click Here To Purchase an Amazon Kindle! After years of waiting, Canadians can finally purchase a fully-working Amazon Kindle. Just a few short weeks ago, it seemed as though the Kindle would never be coming to Canada. Amazon announced that the Kindle would be shipping to a hundred different countries, but Canada was left out once again. People wondered just what was going on. A person in Bolivia could buy a Kindle, but not a resident of Canada? Amazon resolved whatever issues there were with bringing the Kindle to Canada (I'm pretty sure that it had to do with the wireless carriers in Canada), and now Canadians can get their handles on the Kindle, just like their American counterparts. 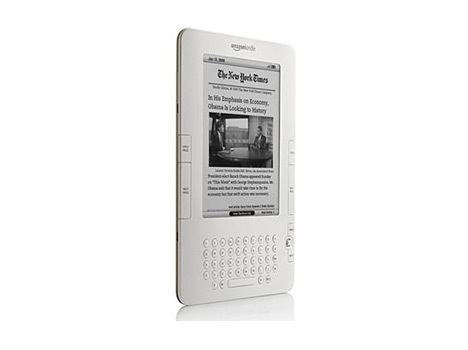 The Kindle is a wireless reading device that allows you to easily download books, newspapers and magazines into a lightweight (less than a pound) reading tablet. The wireless capabilities of the Kindle don't cost you anything, as Amazon bears this expense. If you live within an area that has either 3G or EDGE/GPRS coverage, then you will be able to use the wireless capabilities of the Kindle. Even if you aren't in the coverage areas, you can still use the Kindle. The only difference is that you will have to download your reading material via your home computer (through a UBS cable). The Kindle battery lasts for days at a time without needing to be recharged. As mentioned, the device is extremely lightweight and easy-to-read, making it perfect for excursions to the beach, reading on the bus, etc. Why is the Kindle worth your money? 1. Books are MUCH cheaper when bought for the Kindle. Sure, the Kindle itself costs $189.00. However, most bestselling novels cost just $9.99 when purchased for the Kindle. 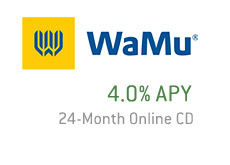 That's quite a savings when you compare it to buying a hardcover book. If you read even one book a month, then the Kindle will pay for itself in a year. 2. It makes reading easier. It's just a fact - people who own a Kindle read more. Not only does the "wow" factor make people want to read more, but it's just plain easier to read with a Kindle. It's easier to prop yourself up in bed with a Kindle than with a hardcover book. It's easier to read a Kindle with one hand than it is to read a paper. The list goes on and on. 3. You can store up to 1,500 books on your Kindle. If you are planning on going away on vacation, carrying a Kindle that is loaded with your favorite books is much easier than taking 10 hardcover novels. 4. Download books anywhere. If you are sitting at the beach and decide that you want to purchase the new Stephen King novel, then you can have it on your Kindle within 60 seconds. As mentioned, you don't need a wireless contract - Amazon absorbs the cost. 5. 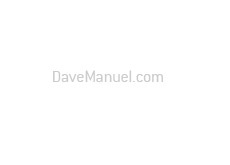 Automatically download your favorite newspapers. Heading to work on the train? No problem - you can subscribe to your favorite newspapers and they will be downloaded automatically to your Kindle the instant that they hit the newsstands. That's pretty cool. There are many different reasons to love the Kindle. The biggest? It makes reading fun and easy, and that's always a good thing. 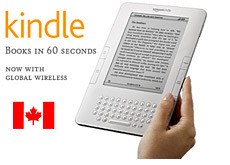 Canadians, Click Here To Buy an Amazon Kindle!